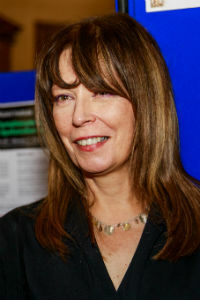 Stephanie Taylor is Professor in Public Health and Primary Care at Barts and the London School of Medicine and Dentistry, Queen Mary University of London, where she is Deputy Dean for Research Impact. She is an Honorary Consultant in Public Health at Barts NHS Trust and a Deputy Theme Lead for the North Thames NIHR Collaboration for Leadership in Applied Health Research and Care and was co-lead of the Asthma UK Centre for Applied Research Self-Management Support Platform up to April 2019. She is a recognised expert in supporting self-management in long term conditions, particularly respiratory conditions. Her research focuses on complex, adjunctive interventions for people with long term conditions with a particular emphasis on people with psychological co-morbidities or advanced disease and significant disability. She has been an expert advisor to the World Health Organisation and advised the Irish Health Executive on the development of a new national self-management support strategy.